The General Data Protection Regulation (GDPR) is the biggest change in data protection laws for 20 years. While great news for individuals, it presents complex problems for businesses. As a case in point – they could face fines running into tens of millions of Euros if they breach the new directive. 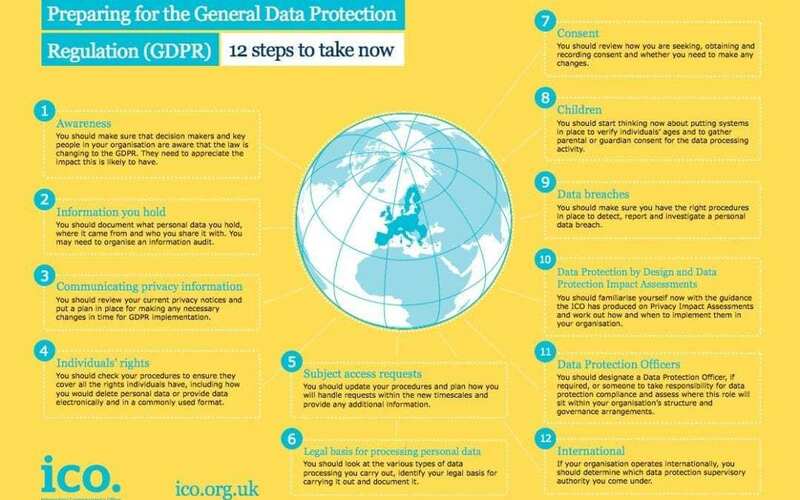 This checklist from the U.K. Information Commissioner’s Office (ICO) highlights 12 steps you can take to begin preparing now for the GDPR, and help comply with its requirements.